Check out the current Fire Danger Rating. Photo Gallery: Fire Photo Gallery will appear here on the public site. 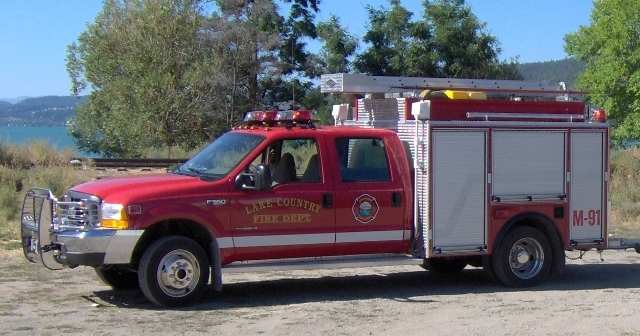 The Lake Country Fire Department protects the community by responding to reports of fires, medical emergencies, alarms and traffic accidents. Services are also provided in parts of the City of Kelowna under contract. 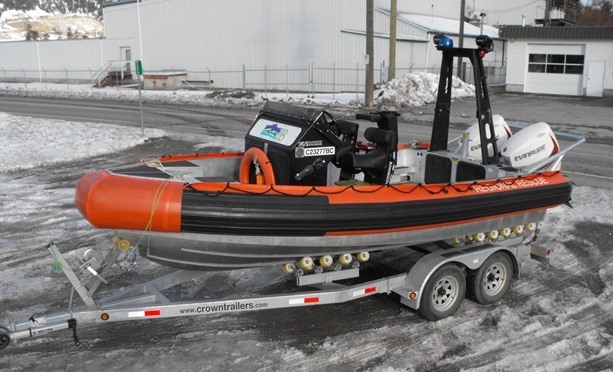 The department is a partner in the Regional District of Central Okanagan mutual aid program and participates in other regional functions like auto extrication, marine rescue and rope rescue. This administration building includes the offices of the Fire Chief, the Deputy Fire Chief, the Emergency Services Clerk and the Fire Inspector. 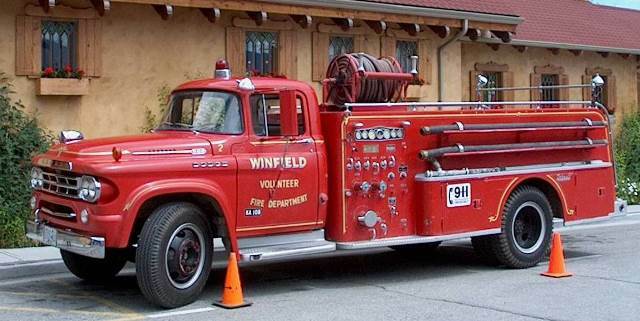 In 1956, 10 residents formed the Winfield Volunteer Fire Brigade. A siren was installed on the roof of Al's Cafe and residents were asked not to call the cafe if the siren sounded as the phone line needed to be free to call the volunteers. The only equipment was shovels and garden hoses carried in the trunks of the volunteers' cars. 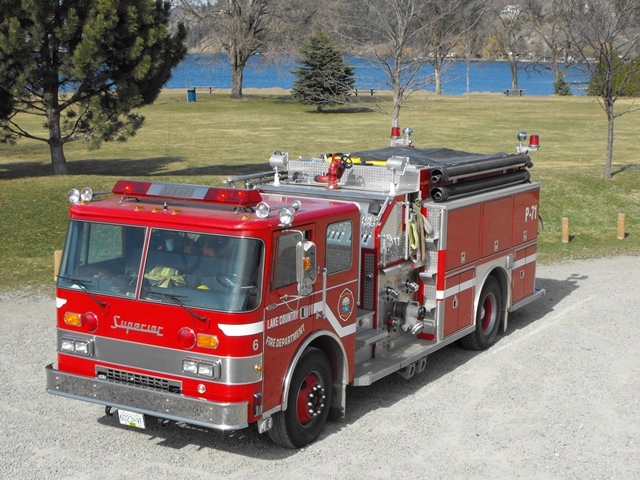 The fire district was incorporated in 1959 and money to buy a fire truck and property and funds to build a fire hall was received from the province. The Winfield Volunteer Fire Department was born! By 1974 the department had responded to 44 alarms. In 1983 the number grew to 107; in 2003 there were 560 and 888 in 2009. 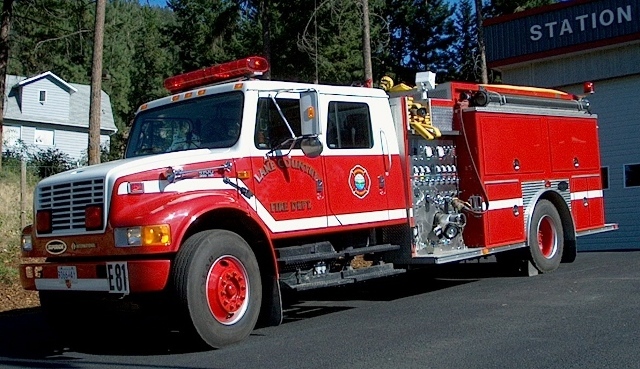 In 1995, when the District of Lake Country incorporated, the Winfield Fire Protection District was dissolved and the Winfield Volunteer Fire Department became a part of the Lake Country Fire Department. The new residents of Coral Beach established the first unofficial fire department in the Carr's Landing area. Volunteers pulled second-hand hose from a trailer that carried a gas-powered water pump and built a fire hall garage on Coral Beach Road. In 1982 the community of Carr's Landing formed a steering committee to develop a fire protection area. By 1984, a temporary fire shed was built using volunteer labour and a used 1958 pumper truck was purchased from the Westbank Volunteer Fire Brigade. The Carr's Landing Fire Department was now officially a part of the Central Okanagan Regional District Fire Protection Area. In August 1984 the Coral Beach Fire Department amalgamated with Carr's Landing Brigade. As the brigade grew, it became obvious that facilities for training and to house equipment were simply inadequate. A new fire hall was built 1987. 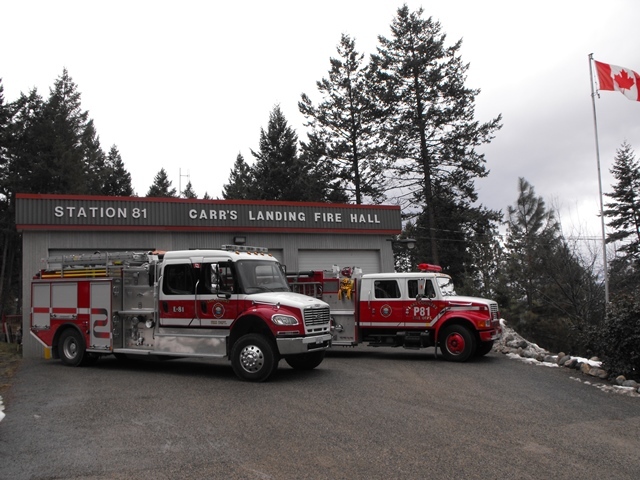 In 1995, when the District of Lake Country incorporated, the Carr's Landing Volunteer Fire Department became a part of the Lake Country Fire Department. 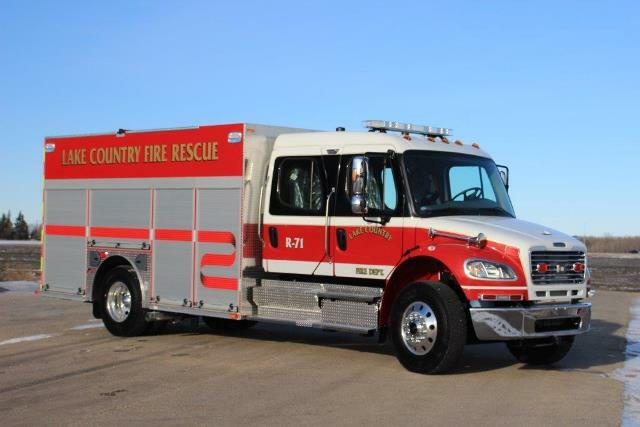 The Oyama Volunteer Fire Department is the oldest of our three departments. The first fire hall was built in 1958. An British WWII air-raid siren was installed on the roof of the packing house and the first fire truck was bought from the Rutland Fire Department. 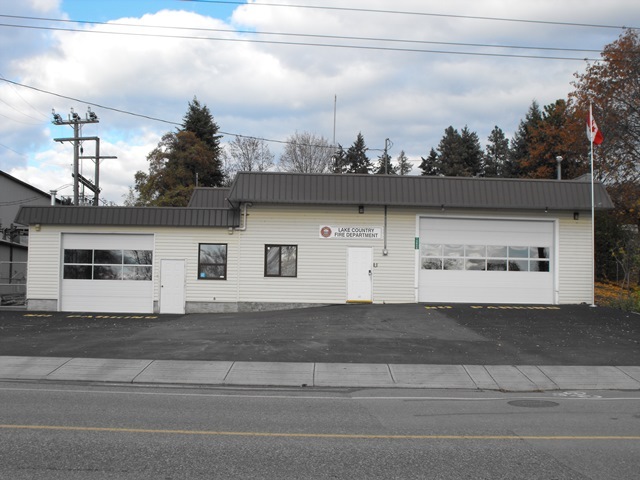 A new fire hall was soon needed to fit the expanding needs of the Oyama Fire Protection District, so in 1970 the volunteers moved into the old United Church, which was further expanded in 1988 with the help of a BC Lotteries grant and many volunteer hours. 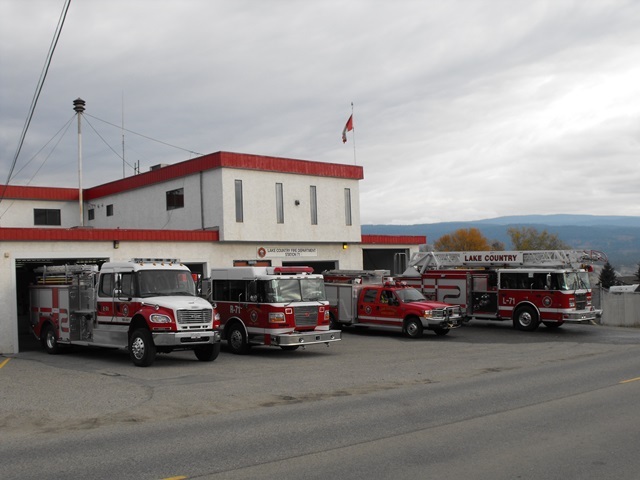 In 1995, when the District of Lake Country incorporated, the Oyama Volunteer Fire Department became a part of the Lake Country Fire Department. The LCFD oversees burning, campfires, fire prevention programs and the recruitment of new paid-on-call firefighters for the District. Only residents that have properties 1 hectare (2.5 acres) or more in size may apply for an open burning permit. Permits are available at the Municipal Hall or the Fire Administration building at Station 71 - 10575 Okanagan Centre Road East. Open burning is only allowed in line with Burning Bylaw 612, 2007. Burning periods are generally from January 1 - April 30 and October 1 - December 31, however they may be delayed in opening dependent on the weather and fire hazard rating. 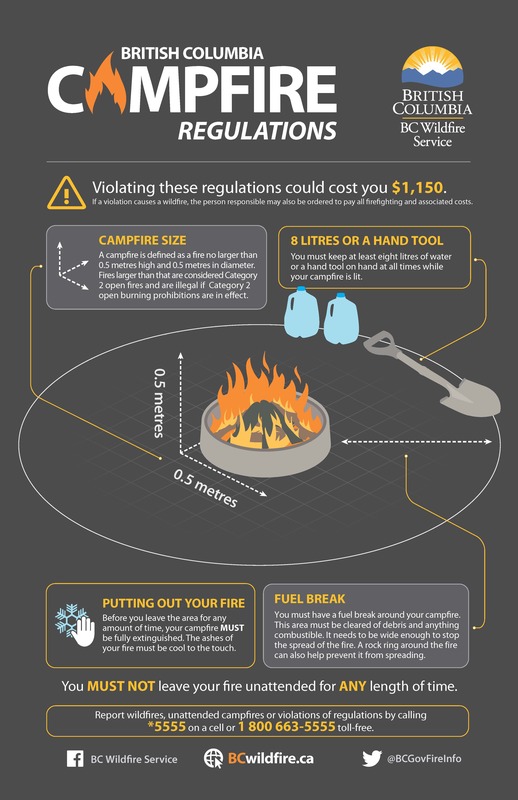 A campfire is a fire used to cook and/or provide heat and light when camping or in backyards and is only permitted on private property. Fires may start easily and spread quickly but there will be minimal involvement of deeper fuel layers or larger fuels. 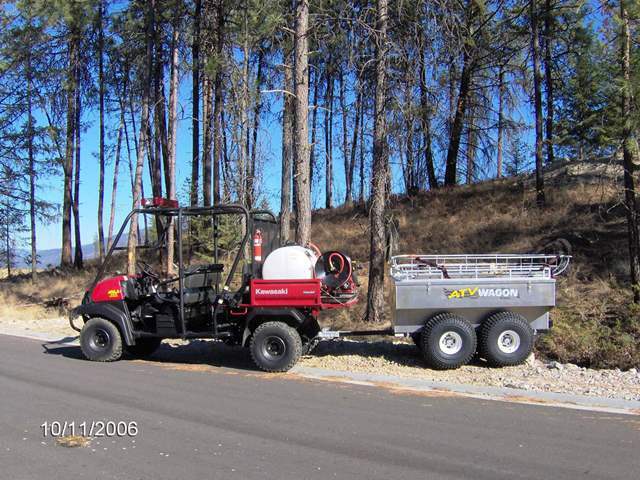 Forest fuels are drying and there is an increased risk of surface fires starting. Carry out any forest activities with caution. Forest fuels are very dry and the fire risk is serious. New fires may start easily, burn vigorously and challenge fire suppression efforts. Extreme caution must be used in any forest activities. Open burning and industrial activities may be restricted. Extremely dry forest fuels and the fire risk is very serious. New fires will start easily, spread rapidly and challenge fire suppression efforts. 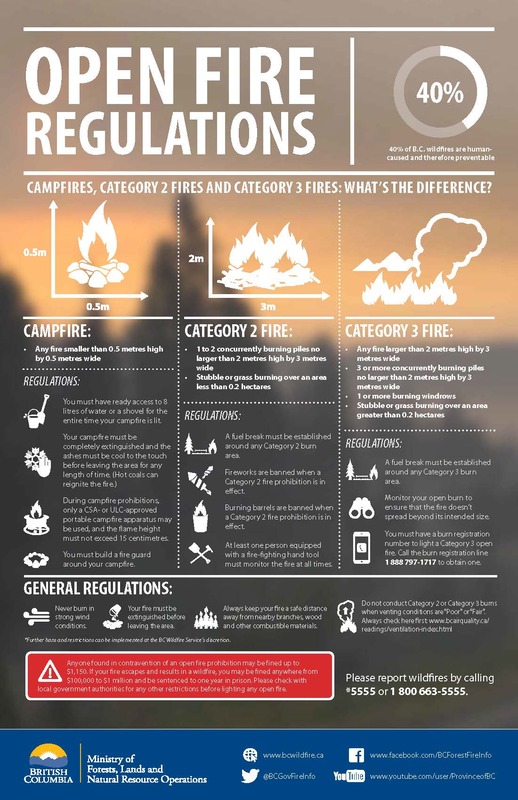 General forest activities may be restricted, including open burning, industrial activities and campfires. Equipment to put the fire out must be available to prevent it from getting out of control. The fire must be a minimum of 3 metres from any combustible material. 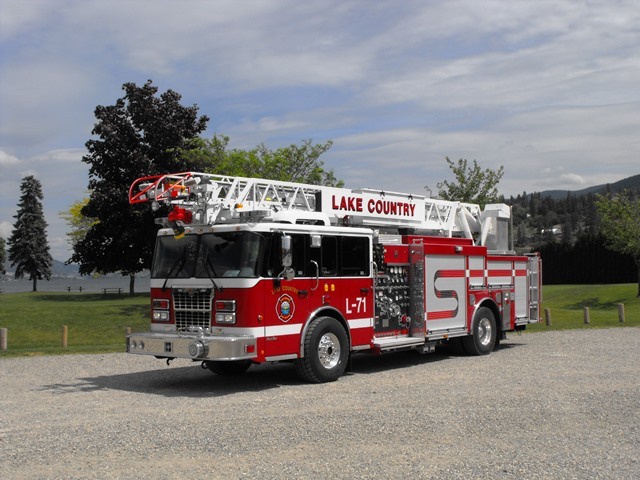 The SAFE Program was developed in Lake Country by the Public Education Division of the Lake Country Fire Department with the aim of protecting families in the event they experience a residential structure fire. It is a 4-hour program instructed over a period of 2 weeks in grade 3 classrooms with the emphasis on home escape planning. 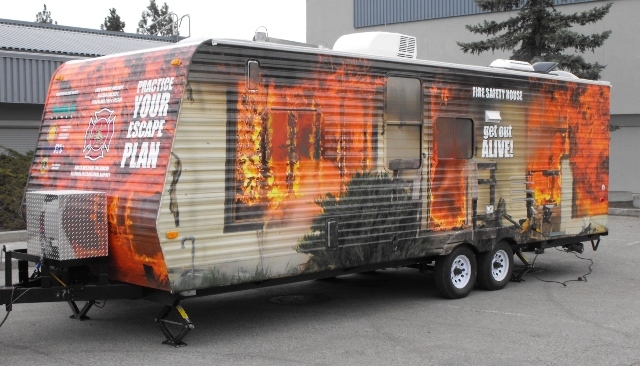 The Fire Safety Trailer below was specially designed to facilitate this training. 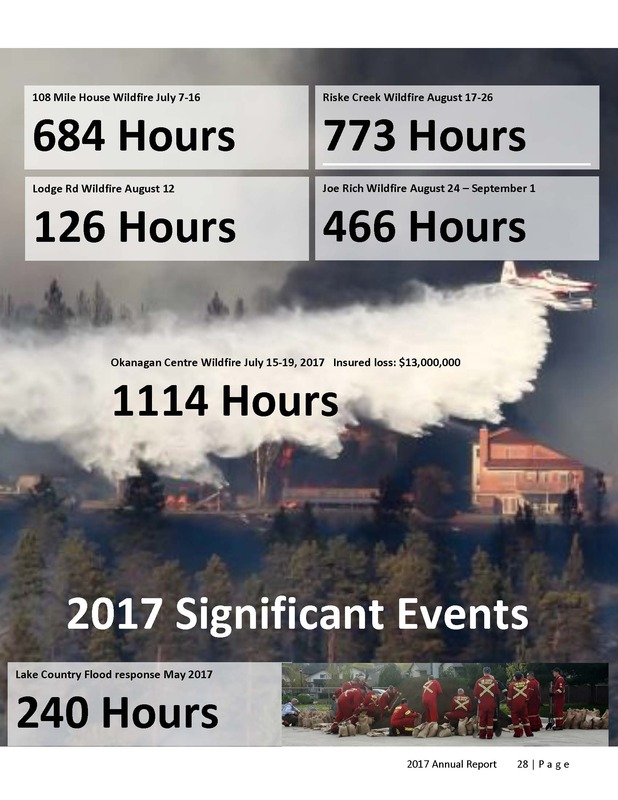 Click here to view current monthly LCFD Statistics. 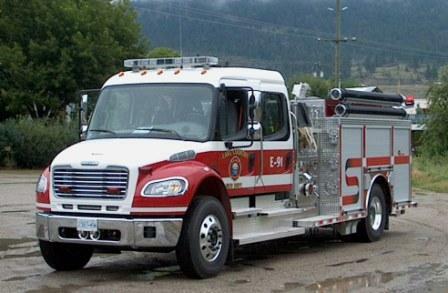 If you would like to arrange for your group to come for a tour of the fire hall, please call 250-766-2327 to set up a date and time. Photo Gallery: Fire Photo Gallery2 will appear here on the public site.